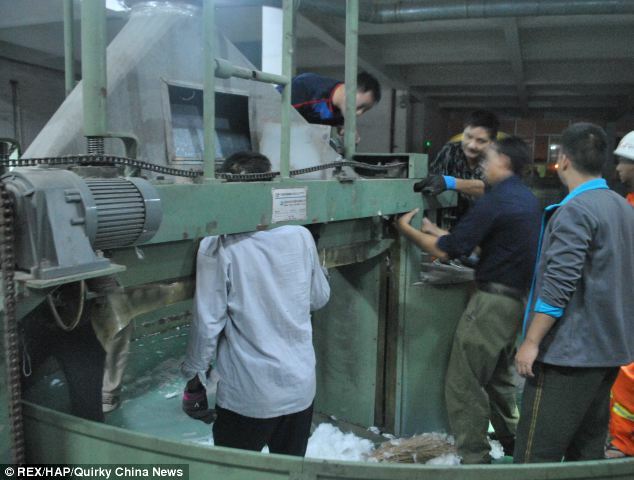 A cotton factory worker fell unconscious while standing up after his head became clamped in a machine. The incident happened in Wenzhou, China’s Zhejiang Province. After the worker became trapped emergency services were called to help free him. 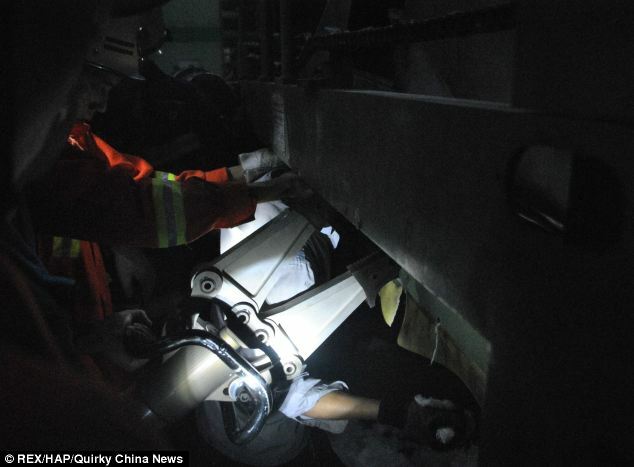 When firefighters arrived at the factory they found the worker had lost consciousness, but he was held upright because his head was clamped by a machine but he did survive the accident. Lack of using LOTO, Trip Sensors & Machine Guarding were deemed to be the cause of the accident. Is your Lockout Tag Out Program Tested? Audited? If not, It Should Be! The ANSI/ASSE Z244.1 Standard is considered the defining document for addressing the complex issues of lockout/tagout and methods for the control of hazardous energy, and the Z244 Committee is moving in a new direction. The control of hazardous energy in the workplace continues to be a challenge for many employers. According to OSHA, failure to control hazardous energy accounts for nearly 10 percent of the serious accidents in many industries. Workers servicing or maintaining machines or equipment can be seriously injured or killed if hazardous energy is not properly controlled. 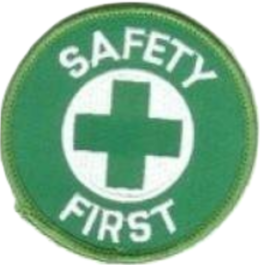 Injuries – sometimes fatal – resulting from the failure to control hazardous energy during maintenance activities can include electrocution, burns, crush injuries, cuts, lacerations, amputations or fractures. Craft workers, electricians, machine operators and laborers are among the 3 million workers who service equipment routinely and face the greatest risk of injury. Workers injured on the job from exposure to hazardous energy lose an average of 24 workdays for recuperation. Grover says that the OSHA standard – Control of Hazardous Energy (Lockout/Tagout) (29 CFR 1910.147) for general industry – has remained static (with multiple letters of interpretation), while the technology found in the machines being manufactured today has advanced. The traditional approach to lockout/tagout – completely shutting down machinery – might not be the best option for some of today’s equipment or for some of the operations maintenance personnel and operators need to perform. The new ANSI standard takes into consideration the fact that there might be situations in the workplace where unique applications of energy control are both necessary and risk acceptable. Grover said that approximately one-third of the new standard addresses alternative methods of control and machine design. The zero-risk blanket approach is outdated, he adds and is in conflict with current safety management practice. Grover says that the reality is that one out of 10 employers have what he says is a “credible” lockout program, one that goes beyond simple OSHA compliance. Another 60 percent do their best to meet the requirements of 29 CFR 1910.147. The final 30 percent have no lockout program whatsoever. According to the standard, an employer adopting a hazardous energy control program should start with conducting a thorough risk assessment and allowing that risk assessment to guide the hazardous energy control program in the workplace. It needs to be a “living” program that develops and adapts according to changes in the workplace such as new production lines, new technology, and new machinery. Everything needs to be documented, employees need to be trained based on the risks and there needs to be validation that the hazardous energy control program is effective. Done correctly, says Grover, the hazardous energy control program could serve as a “micro safety program” that contains elements – risk assessment, communication, best practices, training and validation that the program is effective – could be used as a template for respiratory protection, fall protection, and other workplace challenges.